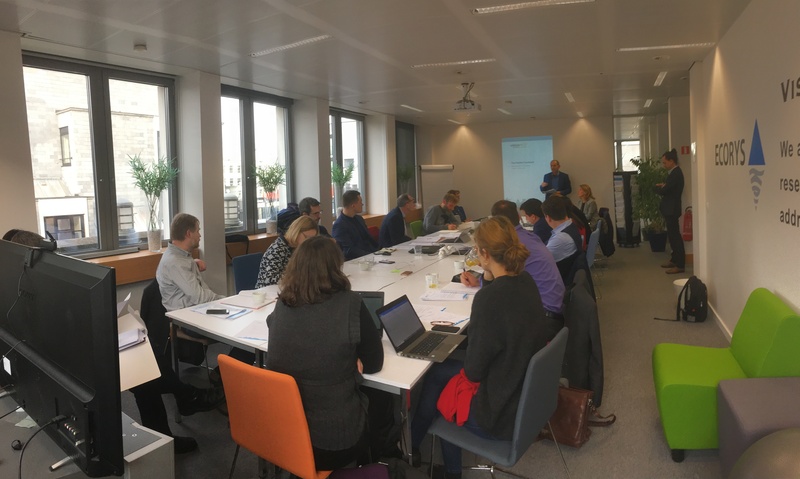 On 18 January 2019, the Energy Transition Partnership met for the 5th time in Brussels to discuss the Action Plan’s objectives and structure, to collect some final input on individual Actions and to agree on the planning for the upcoming Public Feedback on 5 draft actions (from 7 February until 4 March 2019). The meeting kicked-off with London's representatives and ECORYS's Project Director Urban Agenda expressing condolences and shock about the tragedy that occurred in Gdansk, where the city's mayor was recently murdered. However, while not attending this Partnership meeting, the Gdansk representatives will soon be re-engaged and supporting the Partnership in the following weeks. Regarding the Action Plan, the Partnership is in the position where it can well benefit from the Action Plans already available on Futurium from other Partnerships. Partners all agreed that the Action Plan actions must be feasible and sustainable. During the meeting, each of the actions was run through and rounded with final comments which are meant to feed the final Draft Action Plan. During the meeting, it was agreed that the Public Feedback, which will serve to collect the input for the final Action Plan, will run for 4 weeks (until 4 March 2019); then presented during the UDG meeting in March 2019 and DG meeting in May 2019. To find out what a Public Feedback is, read a Disclaimer.